On the outskirts of a small town in Oregon’s Umpqua Valley, lies an unbelievably beautiful family owned and operated vineyard and ranch. The land neighbors the South Umpqua River and hugs the most peaceful creek. With three different outdoor locations to choose from, you can have the wedding of your dreams. Additionally, the family home/tasting room offers a large deck overlooking the creek, which is an ideal venue for smaller events such as cocktail and dinner parties. 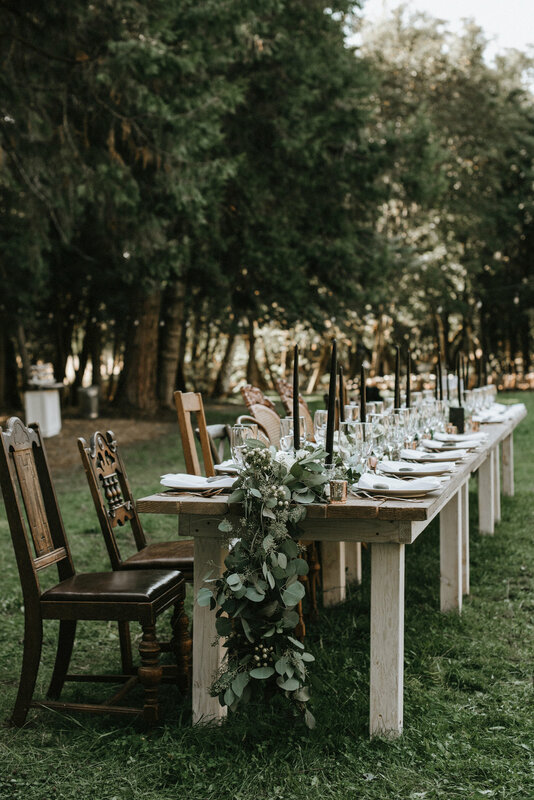 Falk Estate Vineyards also offers an optional bridal suite and two luxury glamping tents for daily and/or overnight use in your event package. Other rentals are listed below. Please email wine@falketatesvineyards.com or fill out the form in the CONTACT tab for booking information. Beautiful and unique, hand crafted farm tables. There are 28 tables available: 20 stained in chestnut, 8 stained with chestnut tabletops and white washed legs. Each comfortably seats 8-10. 40 dollars per table, 30 dollars per 20 or more. Indoor/outdoor Industrial Café LED Lights. Waterproof and shatter resistant bulbs. Each strand is 48 feet. There are 20 strands available. 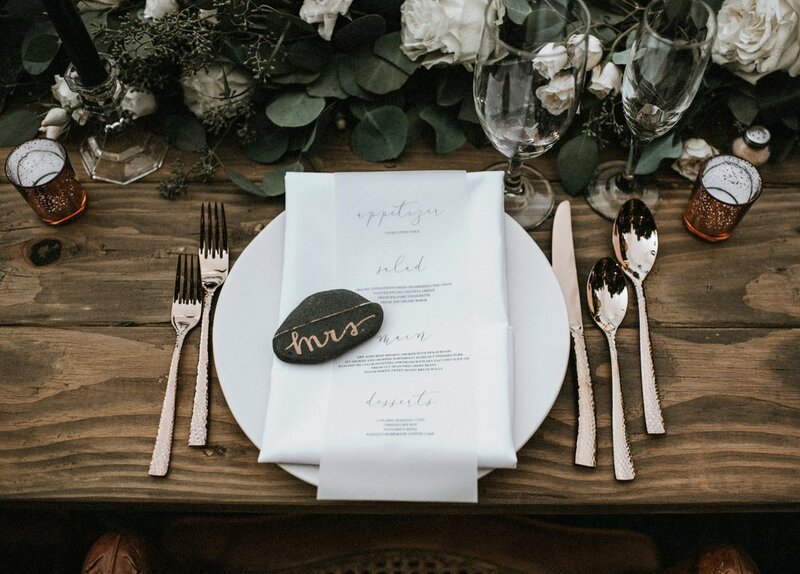 Gorgeous hammered copper flatware. There are 200 available place settings. Can only be rented as one set of five. 3 dollars per one complete set. Premium crystal wine glasses. Break resistant and lead free. There are 200 glasses available (for on-site use only).